Only a few days have passed since Madiha Noman 2012 bridal and formal wear outfits and the brand is back with new formals. 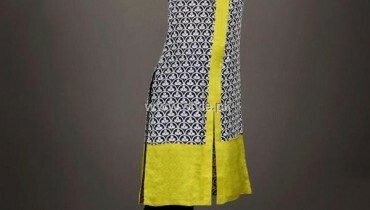 Madiha noman new formals 2012 are different from the label’s earlier formal wear outfits. These outfits are brightly colored. Madiha Noman new formals 2012 consist of floor length shirts and trousers. Women of all ages will find Madiha Noman new formals 2012 quite suitable for parties and formal dinners. These stylish dresses are quite traditional and even the most conservative women will like these formal wear outfits. Still they are designed in accordance with latest style in Pakistan. Madiha Noman started her fashion designing work back in 2002. She opened her boutique in that year. The designer now provides clothes customized according to tastes and preferences of ladies in Pakistan. The designer is running her prêt and couture line both. Although Madiha Noman is an electrical engineer, she has studied apparel designing also. She is quite talented and that is reflected in her outfits. Her participation in fashion shows and photo shoots have raised her popularity. Madiha Noman is quite passionate about fashion designing. Currently, her outfits are stocked at The Designer’s Boutique, DHA, Karachi. Madiha Noman new formals 2012 can be seen below. If you want more information about Madiha Noman new formals 2012 or any other dresses by Madiha Noman, you can go to the Facebook fan page of Madiha Noman’s label. You will get all the contact details of Madiha Noman there. Besides that, you can send a message to Madiha Noman through that page if you have any inquiries. If you want to learn more about Madiha Noman, visit her Label’s fan page. The URL is below. Do check it out. 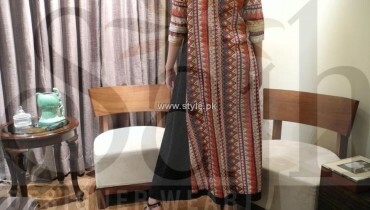 Also check out the earlier outfits by the brand here on Style.pk.